Your first visit as a clinical trials patient may last an average of three to four hours, where certified Clinical Trials technicians will perform several exams. These specific exams include — but are not limited to — Optical Coherence Tomography, fluorescein angiography, and color fundus photography. Your eyes will be dilated prior to these procedures and will stay dilated for about four to six hours after the drops are administered. 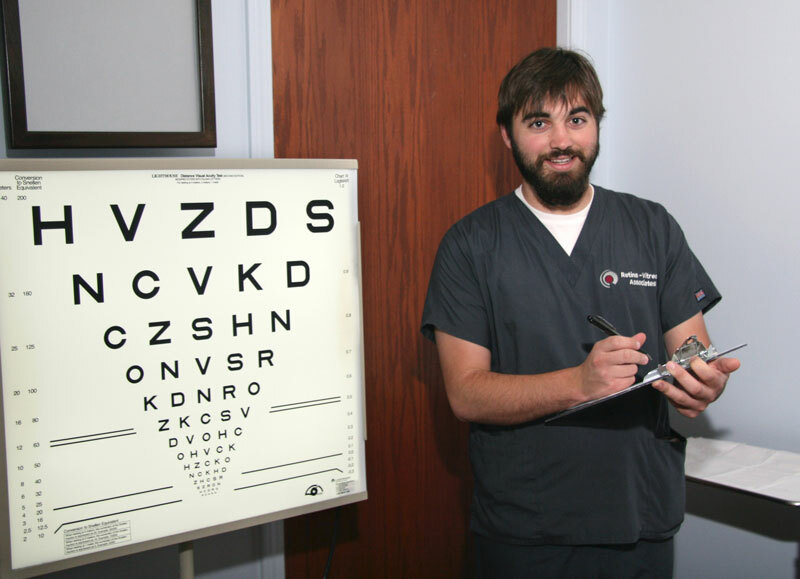 Once the study-specific diagnostic exams are complete, you will see the physician for an eye examination. Due to the use of dilation drops, we advise our patients to have a friend or family member provide transportation to clinic visits. What is the dose of the medication/vitamin? How many times a day do you take the medication/vitamin? When did you start the medication/vitamin? What condition is the medication/vitamin for? In addition, please bring these medications with you to your first study visit. 2. List of current medical conditions you may have (for example, hypertension, diabetes, headaches, etc.) For each condition, please write when you first experienced this condition (e.g. chronic headaches), or when your doctor first told you that you had the condition (e.g. for diabetes). 3. List of past surgeries (for example, hysterectomy, hip replacement surgery, etc. ), and when these surgeries occurred.